This year we've joined the Blogger Zombie Walk hosted by Ghost Hunting Theories! We've posted an excerpt from an original short zombie story, written by a few of the Pretty Staffers! Click the Teaser link below for the short. Or skip right to our YA Zombie book list down below for some awesome zombie mayhem! The wind was blowing in my face and it smelled like rotting flesh. I heard the crackle of leaves behind me and jumped around instinctively. There, in the middle of the yard, less than 20 feet away from me, stood the hunter. I stood there, frozen, staring into the monsters eyes... And he stared right back. I knew I had only seconds to act. I made a move for the gun tucked into the back of my jeans. But before I had time to pull the cold steel from my waistline, the zombie pounced. I crashed backwards into the leaves, my right hand pinned behind me. My left forearm across his throat and collarbone as I desperately tried to hold back his snapping jaw. With all the power I could muster, I pushed with my left arm and rolled my body viciously to the left. It had the effect I wanted. The zombie was on his back and I was on top of him. Once again, I reached back and pulled the gun from my jeans. I pressed the barrel to his forehead. His eyes didn't even so much as widen. He just kept trying to buck me off of his chest. Just as I was about to pull the trigger something slammed into my right side with the force of a speeding train. I looked around. I was lying on my stomach. Shambling forward, I tried to get to my feet but I something grabbed my ankle. I was being dragged backward across the lawn by another zombie. I rolled onto my back and tried to kick at the second zombie, but the first one grabbed a fistful of my hair and brought my face up to meet his. My scalp burned and his hot breath stung my nose. He smelled like death. His snarling lips pulled back to reveal yellow, plaque stained teeth with rotting flesh stuck in the crevices. I grimaced. This is it, I thought. It's all over. I couldn't believe I had gotten trapped like this. Had the hunters purposely ambushed me? They couldn't be smart enough to orchestrate that sort of plan. I braced myself for the bite, the feel of his rotten, scraggly teeth sinking into my flesh. There was a loud cracking sound. Something warm exploded on my face, spraying into my eyes. I snapped them shut instinctively. The creature on top of me slumped down, a dead weight across my chest. I wasn't sure what was happening, but those cracks were definitely gunshots. I pushed the first zombie off of me and was able to wrench my leg free of the second zombie's dead grasp. I scrambled back, trying to put some distance between me and the monsters. I wiped my eyes of the warm blood that had sprayed my face with the sleeve of my jacket. Squinting, I saw the zombies bodies lying limp in the trampled leaves. I whipped my head back and forth, trying to see what had killed the hunters that had been attacking me. There was a man. An actual uninfected human. Someone else who had survived. "Are you okay?" the man asked. There was a look of concern in his eyes. "I...I..." I choked. I hadn't spoken to another person in so long. "You're human?" We've also decided to post a list of some young adult books that contain zombies. It's a month until Halloween so maybe these books could help get you in the spirit. For those of you who may not read YA books, but are die hard zombie fans, know that these books don't skimp on the zombie gore to sell to the younger crowd. As the days pass, the situation has gone from frightening to terrifying. Kids are being picked off the streets; the barricaded teens are surrounded by flesh-eating zombie adults. When a mysterious traveler arrives with an offer of refuge in London's Buckingham Palace, they realize that they have no other option. 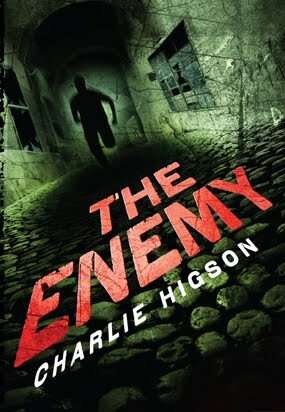 What they can not yet understand is that their intense challenges will not end with their harrowing trip... Another hard-pulsing teen thriller by the author of the Young Bond series. I love your list of zombie books! I already have some of them because I also have a book review blog! hehe. I didn't know what a YA book was at first. (Was it a Black-Eyed Peas reference? "Hey-ya! Hey-ya!" LOL!) But I see "YA" stands for Young Adult. It's good to start off kids right by letting them read zombie-themed books. Fabulous post! I loved the short story. I've read Amanda Hocking's "HOLLOWLAND" and loved it. I've read quite a few zombie-related YA books. Now, I'll have to check out the ones on your list, too. 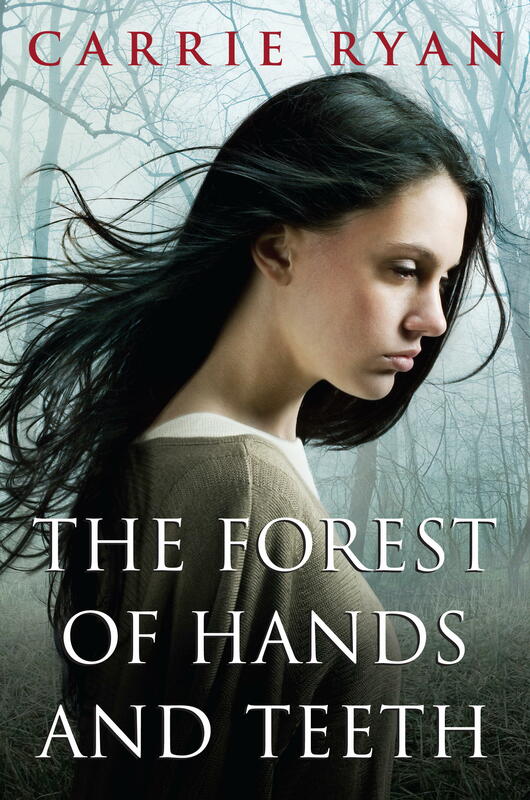 The Forest of Hands and Teeth (as well as its sequels) were already on my TBR list. The other books are knew to me. 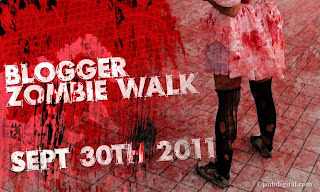 Here's my Blogger Zombie Walk post. The walk sounds like a super fun time! Don;'t forget about You're So Undead To Me by Stacey Jay, Zombie Queen of Newbury High by Ashby, Cold Kiss by Amy Garvey and Bad Taste In Boys by Carrie Harris. Those are also some great zombie reads! Zombies v Unicorns sounds like a must read. I'll be checking out the books on your list! Now I know where to come for a zombie book idea.